Classic and Sports Car’s Martin Port burns rubber… well, at least considers it. I’ve been running Avon Traction Mileage 600-16 tyres on my 1959 Series II for well over a year and a half now and over the course of carrying out its duties – commutes to London, school runs, tip runs, light greenlaning and so on, they’ve performed brilliantly. 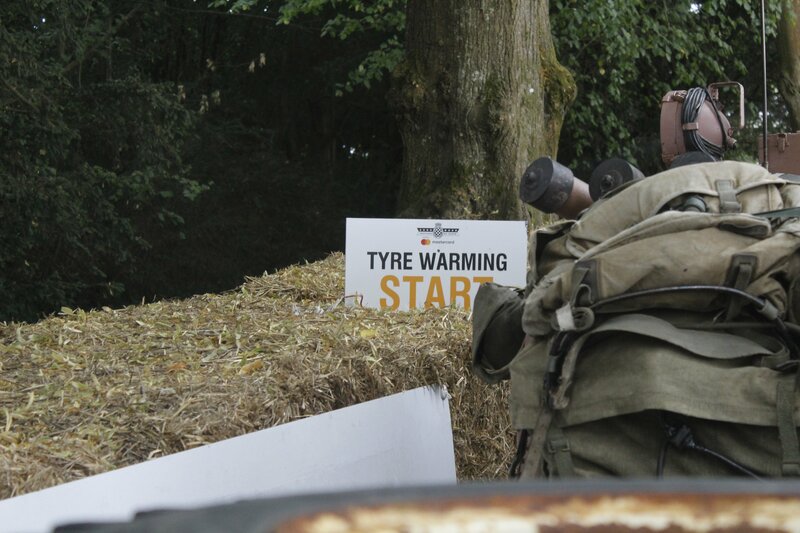 Of course, I’m joking, but the proving of a good tyre is its versatility in a variety of conditions and so when I was recently asked to drive my 88in up the world famous hill at Goodwood Festival of Speed, I had images of sitting on the start line, smoke billowing as I spun the rear wheels to get some heat into them and wow the crowds. 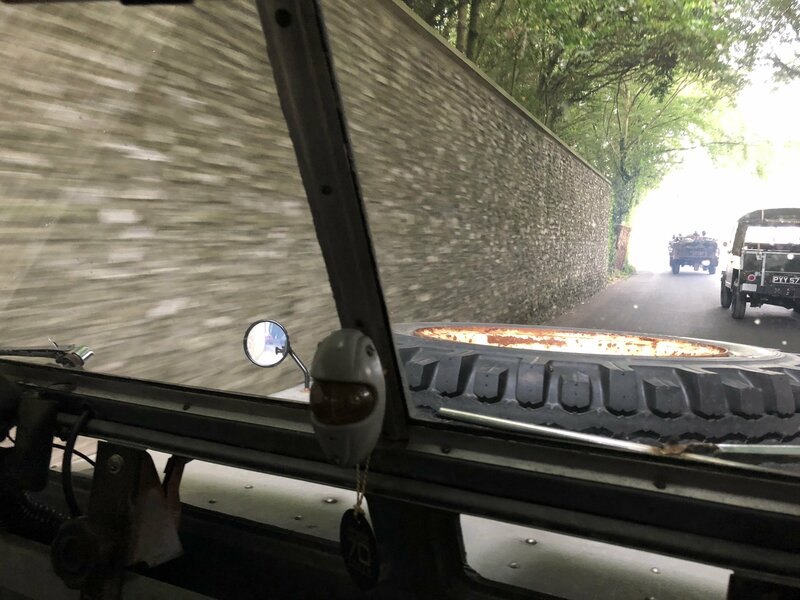 Then of course, I remembered that I was going to be in my 2286cc Land Rover and I wondered if a set of ATMs had ever been used in competition before? 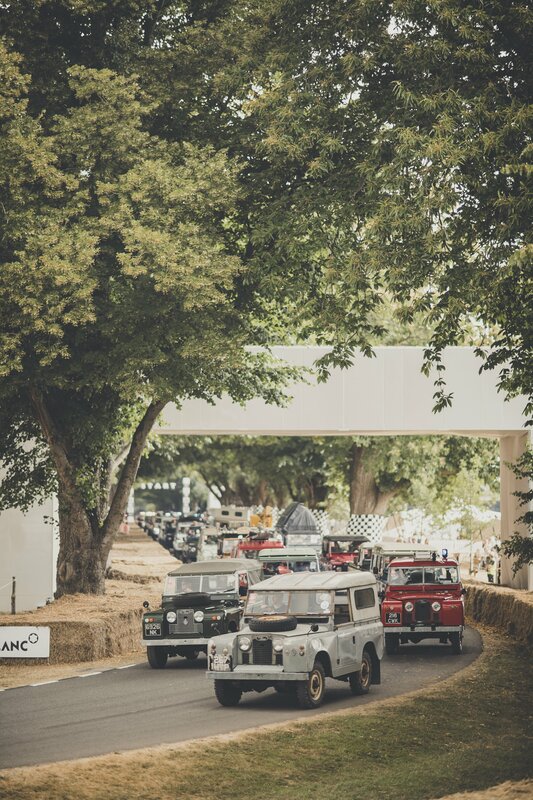 In truth, I was humbled to have been asked – as part of their 70th birthday celebrations, Jaguar Land Rover hand-picked 70 vehicles to parade before the waiting crowds on the Thursday of the festival and mine was to be one of them. Just over 48 hours previously, I had returned from Le Mans where, apart from a small fuelling issue on the way back, the 400+ mile trip had been most enjoyable thanks to stunning weather and the lightness of handling that the Avons offered helping the Series II pilot deserted French back roads with ease. 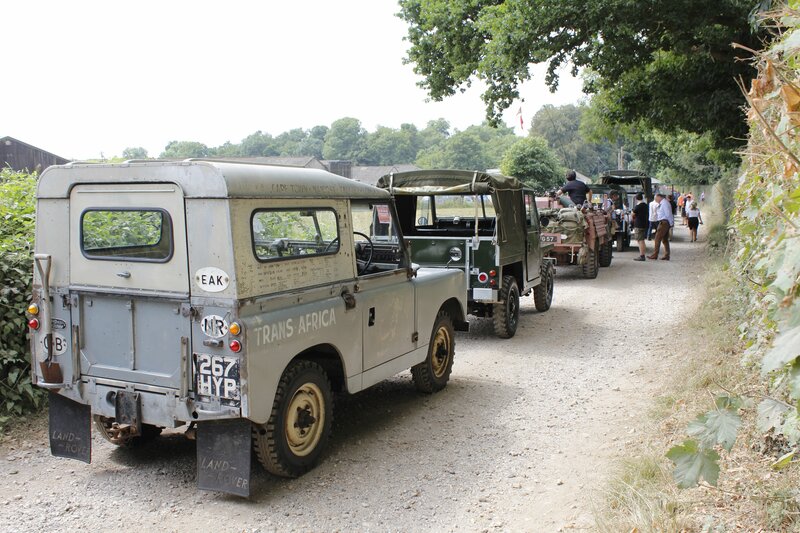 And now here I was – lining up with 69 other Land Rovers and Range Rovers ready to take to the hill. The signs indicating suitable spots to warm your tyres mocked me – I certainly wasn’t about to risk breaking a half-shaft and wearing the tread right down just for the sake of over-exuberance, but soon we were off, and over the course of the next 12 minutes we set a record for the largest batch of vehicles up the hill at the same time. 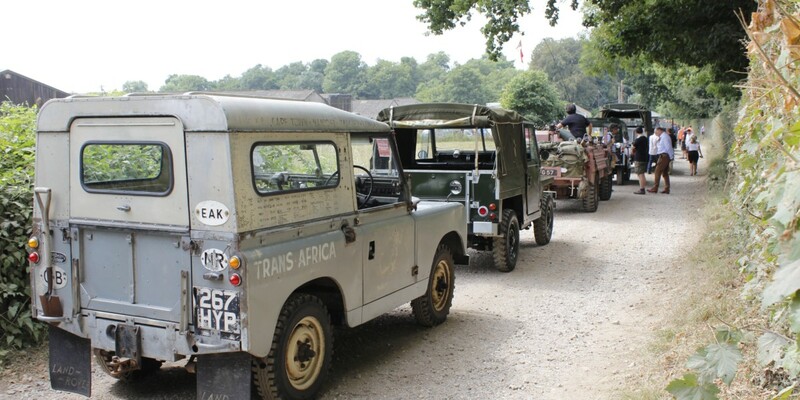 So how did the Avon Traction Mileages fair? Well, as my average speed struggled to hit 10mph, there were, predictably no problems, but two-thirds of the way up it hammered down, suddenly making the tarmac a little greasy and the grass upon which we had to park rather slippery for lesser rubber. The ATMs of course didn’t bat an eyelid and that was about as difficult as the Land Rover’s debut in a sporting arena got. On a serious note however, the Land Rover and the Avons ended up covering 900 miles in eight days and seeing as the only change I would perhaps make is to upgrade to 700-16 ATMs to give some longer legs, I reckon that’s another big tick for what are still probably the best-looking Land Rover tyre on the market.